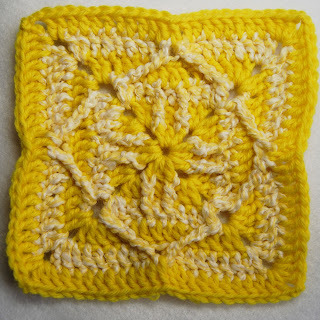 Sunday and Monday were LOUSY days for taking pictures of granny squares, so I'm a bit late on posting the latest. 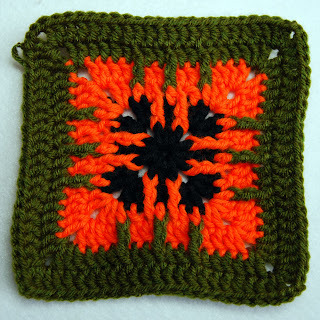 the squares I chose for days 3 and 4 are also based on patterns from Theresa Richardson -- they're called Spike and Swag Grannies. In other news, I e-mailed Theresa and she agreed to let me use her patterns in a free booklet that will include all 10 of the granny motifs I'm using for this project. I'm putting the finishing touches on the booklet now and would love to share a copy with everyone in the swap!